Businesses must be wary of signing unfair contracts with “evil” suppliers as software as a service (SaaS) takes over from traditional human resources (HR) technology, experts have warned. Demand for SaaS-based HR has surged over the past 12 months as companies latch on to the potential of cloud computing, a panel of experts told an HR technology conference. “86% of deals this year are SaaS. It was 5% last year. That is not an evolution, it’s a revolution,” said Vinzenz Kremer, global head of HR IT consulting at Accenture. But businesses risk being taken in by cloud-based contracts that are heavily weighted towards the supplier and against the user, delegates at HR Tech Europe heard. “If you are going to SaaS and you sign a boiler plate contract, you will be taken for a ride," said Thomas Otter, research vice-president at analyst group Gartner. HR departments need to get over the idea that all enterprise resource planning (ERP) suppliers are baddies and all SaaS suppliers are nice guys, he said, claiming “they are all evil”. Otter warned suppliers that businesses were getting wise to cloud providers’ tricks and were unlikely to make the same mistakes in the future. “Everyone is trying to renegotiate with you. You have renewal waves coming and they are smarter the second time around,” he said. Cloud may be taking off, but in other areas, such as consumerisation of technology in the workplace, HR is struggling to catch up. A show of hands in the conference showed that only three out of 200 delegates had HR systems which integrated into mobile phones. “That to me is an area of immaturity in the market. Everyone wishes they had HR apps but the market is not there,” said Josh Bersin, CEO of research group Bersin & Associates. HR technology is better than it was, but it is not where it should be, HR consultant Sarah White told the conference. “When you can pay £5 for an app that is better than your £100,000 system running on mobile, something isn’t working,” she said. 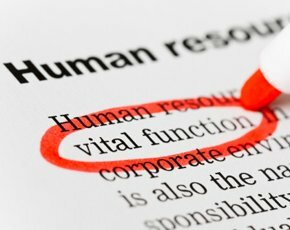 As businesses move towards HR systems that offer employee and manager self-service, usability is becoming a big driving force behind much HR technology. But many traditional HR suppliers are struggling to make their systems easier to use, said Bersin. “The winning systems are systems of engagement. People use them because they want to use them,” he told the meeting. “That is very hard for suppliers when they have built systems that are not designed for engagement,” he said. Combining big data and HR offers a potentially powerful tool for businesses, said experts on the panel. One Canadian bank, for example, discovered it was suffering from an unusally large number of losses in some of its banks. “The initial response was to invest in more training. Then someone said 'let’s look at the demographics and see whether thefts are taking place',” Bersin told the meeting. The analyst showed a correlation between the branches furthest away from the district manager. In other words, the branches that were least checked on had the biggest problems. “You are filled with opportunities to do that in your company. There are patterns in your company that have huge ROI potential," he said. But HR departments are hampered in exploiting the analytical potential of HR data because they lack the right skills, the conference heard. A survey by Bersin & Associates found that only 6% of HR organisations have data analytics skills. "That means 94% of HR organisations don’t,” said Bersin. Gartner's Otter urged HR departments to get the hang of small data before they get carried away with anything more ambitious. “We are not good at doing the small stuff,” he said. One company lacked the technology to carry out a global headcount, but was spending money on systems to predict when staff might be at risk of leaving. “The idea that half a dozen badly defined fields can predict who is going to leave is ridiculous,” said Otter. HR departments need to bring more numerate people into the organisation to help them make the most of analytics, he said. One source could be from workplace psychologists, who are trained in numeracy. “There will be four million data science vacancies in the next four years. The organisations that fill those vacancies are the ones that will succeed,” said Otter.